The Gazette coverage area continues to produce a wealth of wrestling talent, and this past season was no different. In 2018-19, there were nine district champions and five state medalists from the local contingent. All of them and others represent this year’s Gazette Wrestling All-Stars. 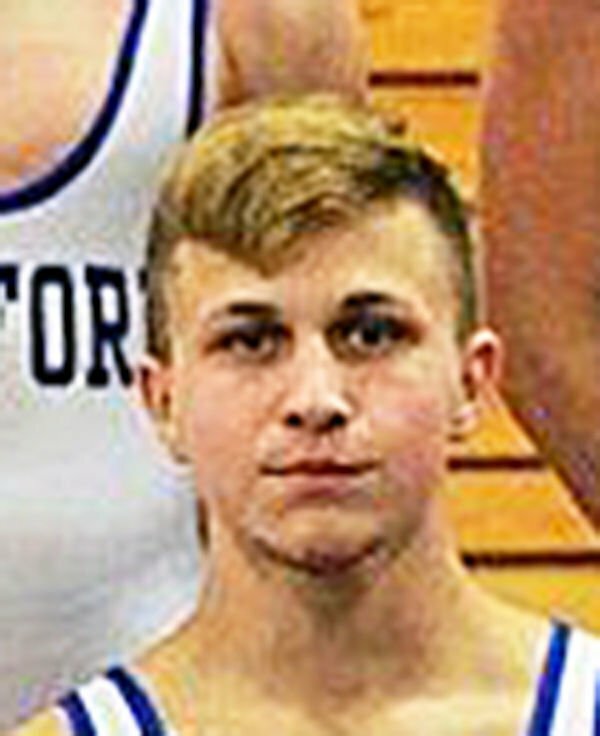 The group is led by Chestnut Ridge’s Jared McGill, who became the 11th different state champion in coverage area history by winning the 170-pound Class AA title last month. The Lions’ program also enjoyed many of the local highlights on the team front this winter. They won their seventh consecutive District 5 Duals championship and finished third in the state team tournament for the second straight year. A week later, they won the District 5 Tournament team title for the eighth straight time. Below is a closer look at each of the first team All-Stars, which were selected by the Gazette Sports Staff. There were co-first team selections at both 132 and 220 pounds. Kai Burkett had a strong freshman season and built on that as a sophomore. He won his second district championship and was a regional finalist. In Hershey, Burkett finished fifth for his first state medal. He was 35-6 this season and will carry 66 career wins into next winter. One of the stories of the postseason was Chestnut Ridge junior Nathan Holderbaum. Holderbaum went 15-5 from the beginning of February on, which included a district title and avenging a couple of earlier defeats. He placed fifth at regionals, then advanced to the state semifinals. Holderbaum wound up fourth with an overall mark of 31-13. Bedford’s Mathew Emerick quietly put a good season together in the lowerweights, and he gets the first team nod at 120 this year. Emerick finished at 20-8 after defaulting out of the district tournament with an injury. His record includes victories over eventual District 5 champion Eli Brougher and state qualifier Jimmy Gwyer. Brady Villa had a solid career at Tussey Mountain, which included his senior season of a 28-6 record. Villa captured the district title after dropping in weight at the end of January. Villa, a state qualifier as a junior, leaves the Titans with an 82-30 career mark and will wrestle at Shippensburg University. One of the 132-pound co-choices for the first team, Bedford’s Kaden Cassidy put together an outstanding junior season after missing most of his sophomore one due to injury. Cassidy was 37-2 this season, going unbeaten from the middle of December until the state semifinals. Along the way, he won his second district title, his second regional crown, and placed third in the state for the second time as well. He’s 68-7 for his career. Joining Cassidy in the 132-pound spot is Everett senior Garret Cornell. Cornell had a win over Cassidy early in the season and finished the year at 37-6. After placing fifth at regionals, Cornell took fifth at the state tournament for his second straight medal in Hershey. His career record is 141-23, with that win total ranking him tied for fifth overall all-time in the coverage area. Northern Bedford junior Ian Sherlock enjoyed a breakout season to gain first team status at 138 pounds. Sherlock was 21-5 overall, which included his first district championship. Of the 21 wins, Sherlock pinned his opponent in 14 of them. Bedford senior Nathan Gabriel was another who quietly went about his wrestling, and ended with a solid record and a spot on the Gazette’s first team. Gabriel was 25-10 this season and a two-time regional qualifier. Everett’s Macen Akers parlayed his football success into the same on the wrestling mat. As a senior, Akers had his highest win total and was 28-10 overall. A three-time district runner-up, Akers had 73 career victories. Claysburg’s Kobe Harr made a sizable jump in his win total this season, and it landed him on the first team at 160. Harr was 27-7 as a junior and reached the regional tournament. There’s not a lot that hasn’t been said about Jared McGill’s wrestling credentials, and all he did this season was enhance them. McGill went a perfect 40-0, with his wins including a fourth district championship, a second regional title, and his first state championship to cap off a tremendous high school career. McGill was 161-16 for his career and ranks second all-time in area wins behind his former teammate Justin McCoy (167). 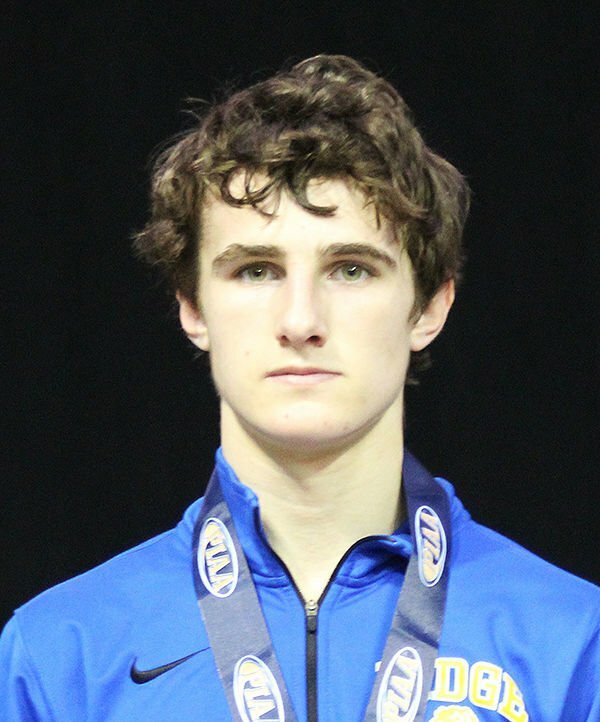 He also joined McCoy as Chestnut Ridge’s only two four-time state medalists, and he is the first undefeated state champion from a Bedford County school since Everett’s Paul Clark in 1983. Chestnut Ridge’s Austin Crouse turned in another strong season that included a district championship. Crouse was 28-10 as a senior. After two seasons that produced 29 victories, Crouse had 60 wins in the last two years. Tussey Mountain’s Damon Lemin won more bouts that his previous varsity time combined as a senior. Lemin went 29-9, increasing his win total by 15 from his junior season. He was a regional finalist to reach the state tournament for the first time. The first of two co-choices at 220 is Chestnut Ridge junior Duane Knisely. This season, Knisely was 35-8 in winning his first district championship before a runner-up finish in the regional tournament. Knisely has 78 career wins going into next season. Everett’s Shane Clark didn’t wrestle for a couple of years, but it didn’t diminish what the senior accomplished this season. Clark was 28-14 and had a strong postseason that included his first trip to the state tournament. All of it made him a co-choice at this weight class. Chestnut Ridge’s Dalton Seace won 70 bouts in a three-year varsity career that didn’t feature much wrestling background before that time. Seace made an impact though, which included this season’s 30-9 record and his second straight district championship where he beat eventual state medalist Jalen Stephens. Partly cloudy. High near 75F. Winds SSE at 10 to 20 mph.. Partly cloudy early followed by cloudy skies overnight. Low around 60F. Winds S at 5 to 10 mph.